One community has become divided after the Vermont Council on Rural Development visited with its Climate Economy Model Communities Program, and now another is about to embrace the same controversial program. In April, the VCRD chose Pownal as the first test community to be transformed into a climate change model for the future. The program includes three community meetings to elicit community-driven improvements regarding energy, transportation and economic development, with an environmental theme for each proposal. Critics of the program say the initiatives may not always have the community’s best interest at heart. For instance, some Pownal residents have expressed frustration that down-voting a proposal was only allowed after participants complained to the VCRD. After pointed exchanges between critics and supporters at some of the meetings in Pownal, some residents launched a petition to make the green initiatives subject to a community vote. “We created this petition because we felt that the Empower Pownal program and its process did not allow for adequate citizen input regarding the selection of initiatives to be carried out in Pownal,” the petition reads. The divisive atmosphere can be illustrated in an email exchange between Pownal resident Donna Lauzon and Planning Commission member Shannon Barsotti. “Shannon Barsotti took the liberty of applying for grants (for the VCRD program) and said on 6/20/17 she did so as a private citizen, and later recanted, stating it was a planning commission application. This is a complete misrepresentation and abuse of position,” she wrote to the Selectboard. Barsotti responded with her own email to the board. Local resident and outspoken VCRD critic Bob Jarvis told True North that the program isn’t accountable when it’s coming from outside Pownal. Other Pownal residents told True North the process is being set by people who have aligned themselves closely with the Vermont Council on Rural Development. According to Middlebury Selectboard member Laura Asermily, the VCRD was invited by an energy committee member, and that the program is generally welcomed by the community. She said they are following the controversy in Pownal. That last experience with VCRD was ten years ago. She said the town then formed an energy committee, and it was Steve Maier, a member of that committee, who approached the Selectboard about inviting the VCRD into Middlebury this year. Asermily said the town has been busy working with what’s called the Future Economic Development Fund, adding that the town is already looking at what their next renewable energy project will be. 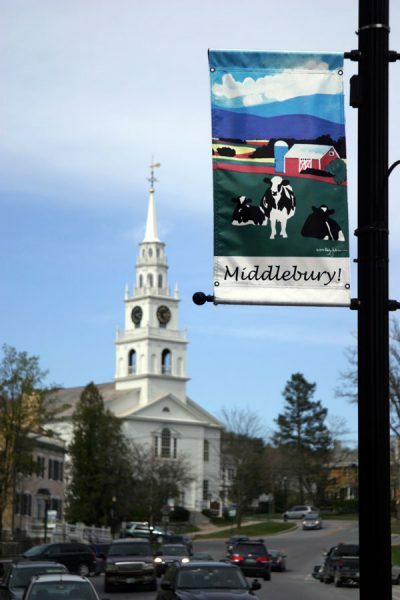 Middlebury already has solar and so they are looking at a possible hydro project. They are also looking at how to conserve energy, and they’ve already created a “net-zero” energy town office building. Other ideas include weatherization projects around town. Regarding transportation, they are developing a rail system and expect commuter trains to pass through in the town’s future. Asermily said they are hoping to use local community television, social media, and the local paper to keep the public in the loop and avoid the conflict that developed in Pownal.